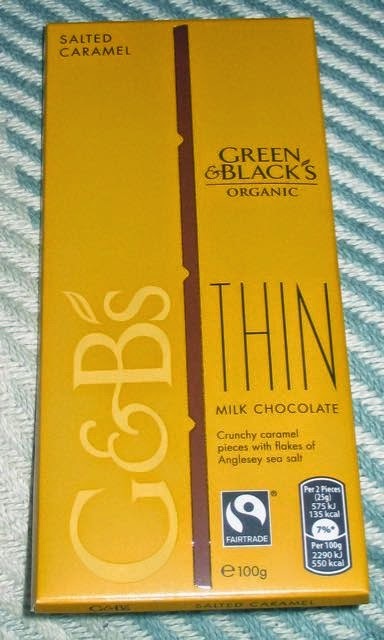 Green and Black have released a new range of thin bars, and of course one of the flavours that has launched in this range is Salted Caramel. I spotted it at the supermarket and thought I’d give it a try. The idea behind the bar being thin is that it melts faster in the mouth, and thus the flavours stand out. I paraphrased that from the text on their website… a sceptical me checked to see if you were getting less chocolate for your money, but their thin bars and their regular bars are both 100g and about the same price. The pieces of chocolate looked nice and big and I broke myself a square off. There is plenty of flavour packed in, but the mellow creamy chocolate still stood out. I like the chocolate from Green and Black it does have a distinctive taste, starting creamy with just a hint of bitter towards the end. 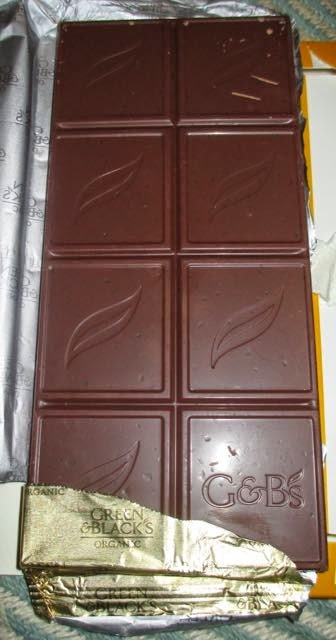 The added flavour comes from caramel with salt crystals packed into the bar. 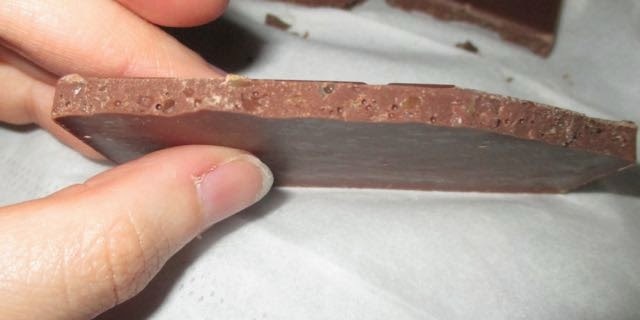 It did actually work well, the sweet and tangy salty flavours were really nice with the chocolate. I did notice the caramel crystals getting stuck in my teeth a couple for times, but other than that I thoroughly enjoyed this bar. I can’t deny that salted caramel works, it is just it has become so common recently it is hard to get excited by it. This however is a very good example of the flavour combo at its best.